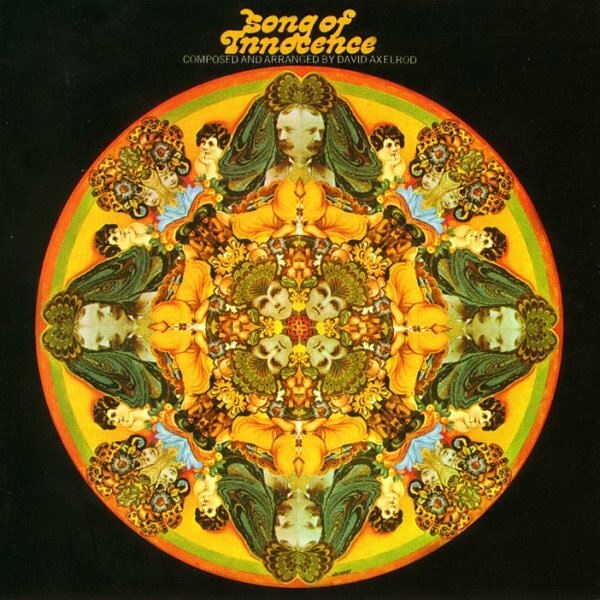 One of a handful of amazing albums recorded by David Axelrod towards the end of the 60s – really stunning, genre-breaking music that was years ahead of its time – and which has only finally been getting its due in more recent decades! At the time of the record, Axelrod was a house producer at Capitol Records – where he'd created big hits for Lou Rawls and Cannonball Adderley – and he'd also been experimenting a bit with studio techniques for other rock groups. But here, the Axe brings all his experience into play – then sends things soaring to the skies – with music based on the work of poet William Blake, but delivered in this totally groovy west coast 60s mode. The core of the instrumentation features funky drums from Earl Palmer and bass from Carole Kaye – both of whom really keep things rock-solid amidst the larger mix of strings and instruments directed by the great Don Randi – who himself is pretty darn wonderful too. The music has nice snatches of fuzz and organ throughout – jazzy moments, funky passages, and lots more too – served up on tunes that include much-sampled song "Holy Thursday" – plus "The Smile", "A Dream", "Song Of Innocence", and "The Mental Traveler". William Blake never sounded so funky! © 1996-2019, Dusty Groove, Inc.